I knew I wanted to create something pink this month. However, pink isn’t exactly a color that you generally find in nature- so I was a bit stumped. 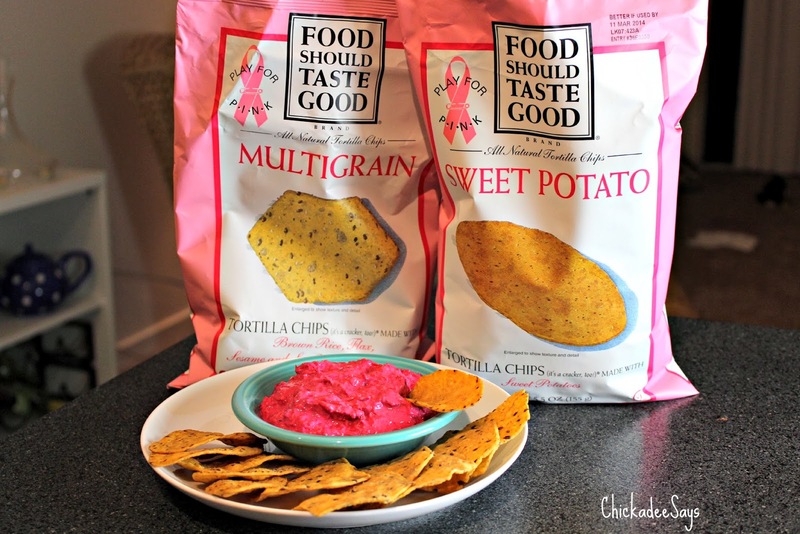 That was until a fun surprise package came in the mail from Food Should Taste Good, and I just knew that I had to create a dip! I use beets as a natural food coloring and thought that their color and sweetness would pair well with fall flavors like cumin, nutmeg, cloves, and carrots. 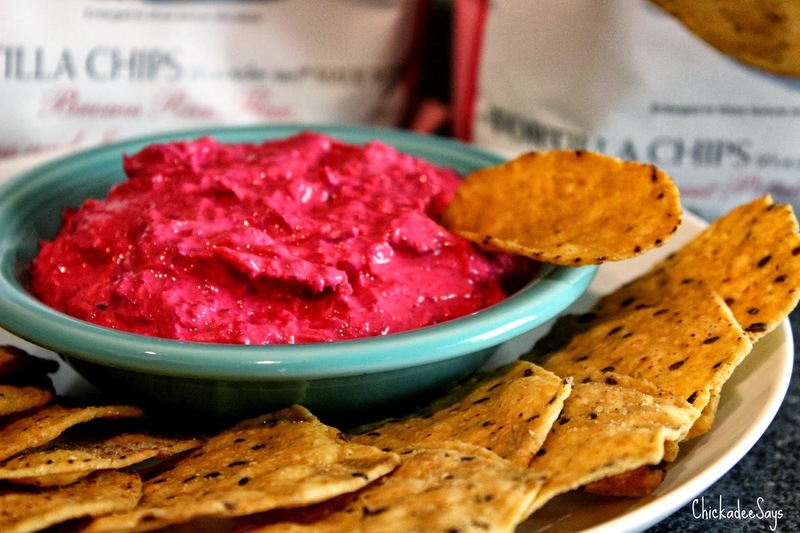 Adding Greek yogurt to the mix acted as a binder and a way to bring some delicious richness to the dip. Breast cancer runs in my family. So breast health is a cause near to my heart (both figuratively and literally.) I think that everyone should be aware of the risks and work towards prevention as well as treatment, thus why I refer to October of breast health awareness month rather than narrow down to breast cancer. I love that Food Should Taste Good is helping to bring awareness (and funds! They are donating $100,000 to Play for P.I.N.K no matter what their sales numbers end up being!) to breast health with their pretty pink bags this month. With so much ‘pink washing’ going on I really respect that the company is giving based on their hearts rather than their sales! 1. 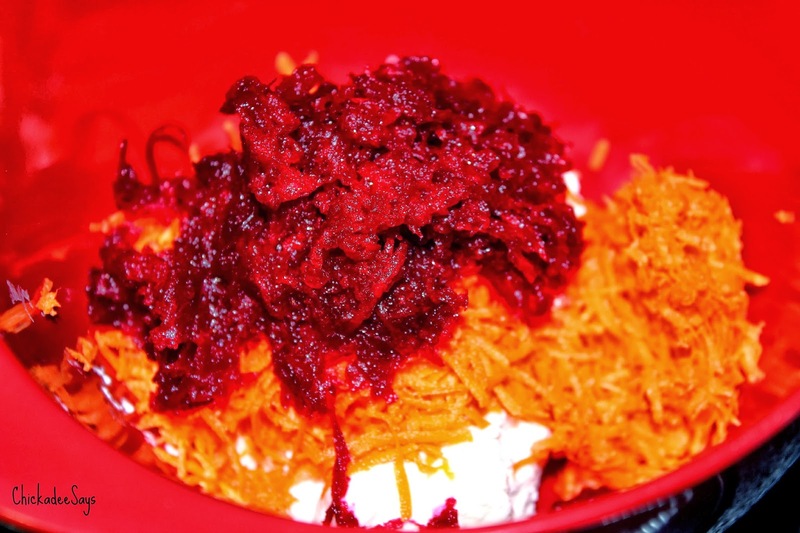 Add yogurt, beets, and carrots to a small bowl. Mix well. 2. Add all spices to the yogurt mixture. 3. Enjoy with your favorite Food Should Taste Good Chips! I ate mine with the multigrain and sweet potato varieties. This recipe is super simple, delicious, and takes just a few minutes to prepare. The color can also spark conversation to help spread the word about breast health! Take a moment to get yourself checked! 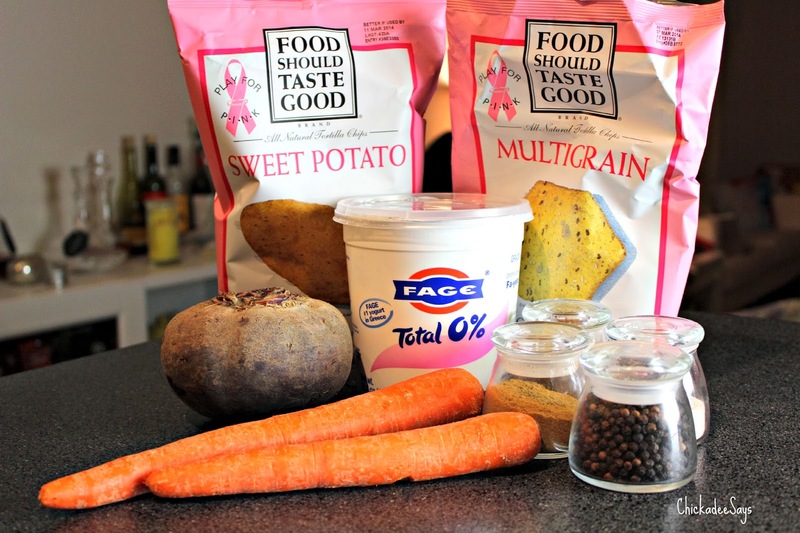 Do you have any fun ways to add pink to your diet this October? Let me know in the comments below! Please note that I was provided with these products free of charge, however I was not asked to write a post. I decided to help spread the word. All opinions are my own.